Many people don't think about how important their tires are until they end up having to replace them because the tire blew out and left them stranded on the side of the road. However, the tires are one of the most important features that your vehicle has. They are the main tool that keeps your vehicle in touch with the road. If you don't have a solid set of tires on your vehicle, the antilock braking system isn't going to be able to do everything it is meant to do. Tires are meant to last for a decent amount of time, but they are going to have to be replaced at some point down the road. Tread life varies largely on what tires you put on the vehicle, the type of vehicle in general, your particular driving habits and the weather conditions around where you live. The best way to maximize the life of your tires is to drive responsibly and take your vehicle in to have the tires inspected. That's where our team at San Francisco Automotive Solutions can step in and help. We will go through the tires to determine how low the tread is and whether you need to have them replaced or not. Our team has a wide variety of different tires out there from which you can choose. We can go over some of the best options for your particular vehicle and driving habits to prevent you from having to spend more on tires than what you should. The main goal is to be able to keep you on the road for longer. We carry some of the top brands like Goodyear, Cooper, BF Goodrich, Firestone and more. The main goal is to be able to help you get a set of tires that will last for quite some time. 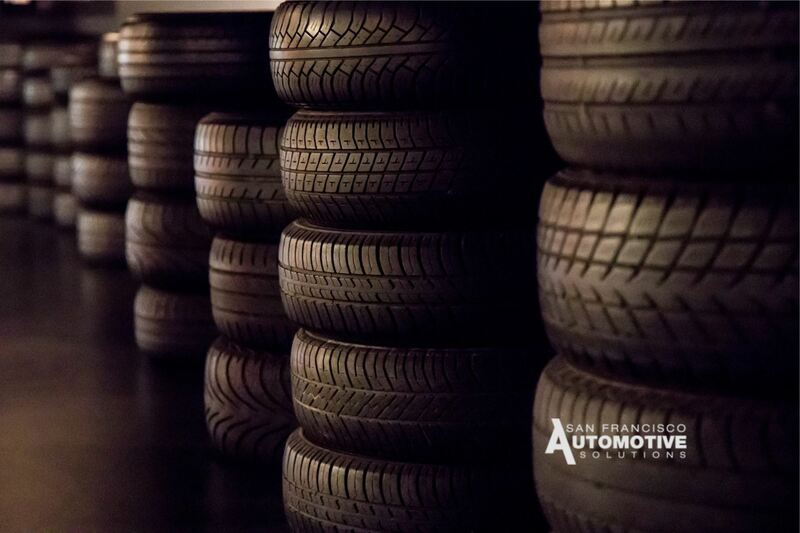 Bring your vehicle in to our service center at San Francisco Automotive Solutions to discuss your options with our team of ASE certified technicians.